When is a label not just a label? Introducing a Domed Labelling solution that essentially uses a printed self adhesive sheet as its base is challenging but words just don’t convey the truly unique and high impact quality of this versatile, tough and durable resin sticker printing process. Domed Labels or Bubble Labels are UV and weather resistant; tough and tactile, non yellowing and impact resistant. This printing method, offered in-house by 10th Planet, allows for the branding of most products to a level of quality and feel that easily outshines any alternative branding method available. 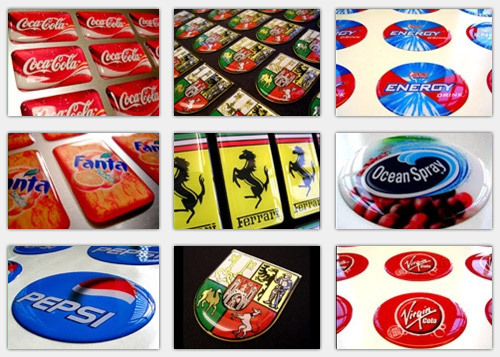 10th Planet’s Domed Decals Printing service offers embossing, mixed domed and flat labelling, custom shaped labelling in any size for branding almost anything that has a flat (or almost flat) surface. 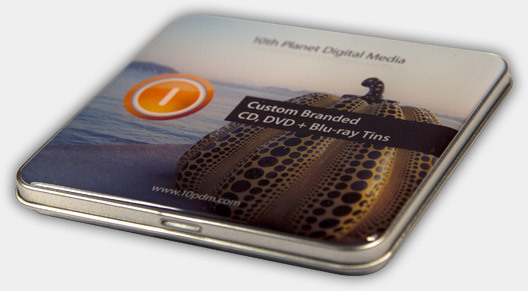 Domed branding is commonly applied to OEM IT Hardware, mobile communications devices (yes of course including phones, but much more), vehicles (gear sticks and exclusivity labels), USB memory sticks, electronic devices, presentation tins, boxes, card holders, name badges and much, much more. Don’t get caught short for branding ever again – dome stickers can take as little as 24hrs and offers such versatility and quality that it will enhance the effect of any promotional item or special corporate gift. We offer a unique disaster recovery service with USB Flash memory too! Have you ever ordered a USB memory stick from anyone (something not likely to happen with 10th Planet or WeAreUSB) and at the crucial moment when your USB drives arrive, in the nick of time…they are incorrectly printed! Often you have paid up front, have no recourse to the supplier or simply no time to correct the problem, well we may just be your knights in shining armour! 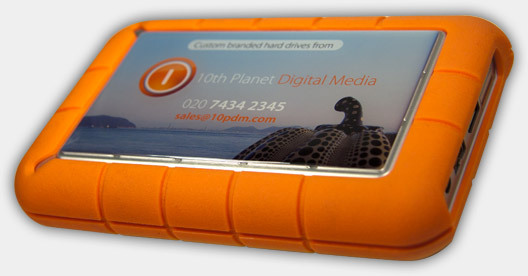 Domed printing is permanent, attractive and depending on the type of USB (or any item for that matter) we can rebrand over the problem area with no show through at all. The Domed printing process allows for so much flexibility in base material too, so that we can offer a 3D printed effect on a metallic, reflective, mirror and chromium base material giving unsurpassed print quality. The minimum quantities are relatively small and can be offered in lead times as short as 24hrs! Oh and one more thing, wouldn’t it be good if there was a branding method that was durable enough to bear the wear and tear of rough handling? Well Domed Resin labels are actually ‘self healing’. This unique ability adds a life extending quality to your branded product and minor scratches actually do disappear or self heal. If you need to brand it! Dome it!